Some movies make you tell yourself: “I did not see it coming”. I mean, you grab your popcorn to have an amazing time while you watch a comedy. Shortly after, that comedy turns out into a black one, then decent action scenes appear, and only after that you realize it’s a horror movie you’re watching. But wait, do we really have to laugh every time when we see a gruesome scene? No, of course not. But with “I Don’t Feel at Home in This World Anymore” you will have to do more than that. Ruth’s day did not begin so pleasantly; her patient in the hospital dies right in front of her. When she gets home, she finds her computer and a few other stuff stolen and the police not in a rush to help her. When she finds a strange footstep in the back of her house, with the help of scrambling eggs she takes a copy of it and brings to the police. Even after that, her attempt was not only not appreciated, but she was sent home to wait for an update. Obviously, someone like Ruth would not have done that, as she starts her own investigation. Her neighbor, Tony, willingly agrees to help her not knowing that the journey they both will embark upon will challenge them to their core. The movie begins on the best and positive note possible. Hilarious dialogues, Ruth’s performance, and the funny situations she finds herself in will make you laugh throughout. As soon as she engages with Tony, who also has an uncontrolled manner but a great desire to seek for justice, the duo make a great team to chase criminals. But the problem is, the criminals they try to find are not easy ones to give up without a fight. They are violent, brutal and willing to kill anyone to achieve their villainous goal. And they do, by the way, not in a way you could have expected. 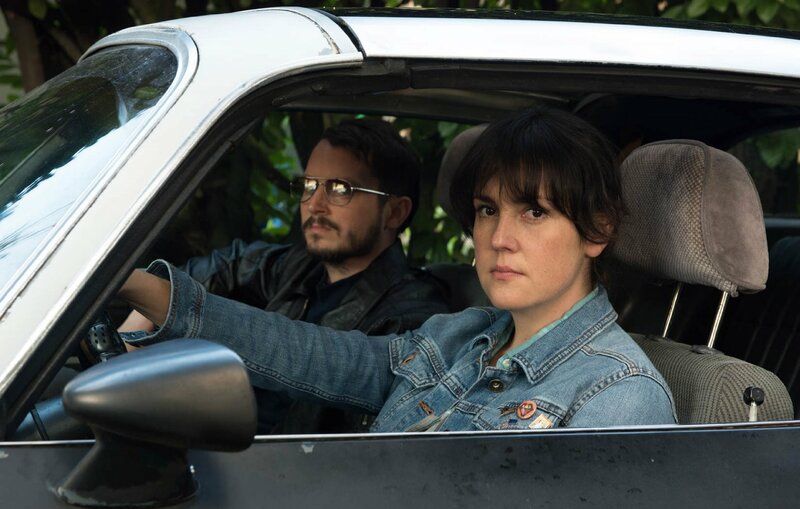 Macon Blair’s “I Don’t Feel at Home in This World Anymore” is an absolutely stunning and truly entertaining movie by all means. Despite some violent scenes, this film stands out on so many levels. The screenplay, of course, was explicable. It had it points. It does not overload the viewer. It just lets the audience to tune into a flow and follow it until the movie ends, to find himself absolutely speechless. Elijah Wood and Melanie Lynskey as Ruth is incredible. They are funny, wickedly good, and own every single scene. Watching them is an absolute delight, while the movie shines as its best.